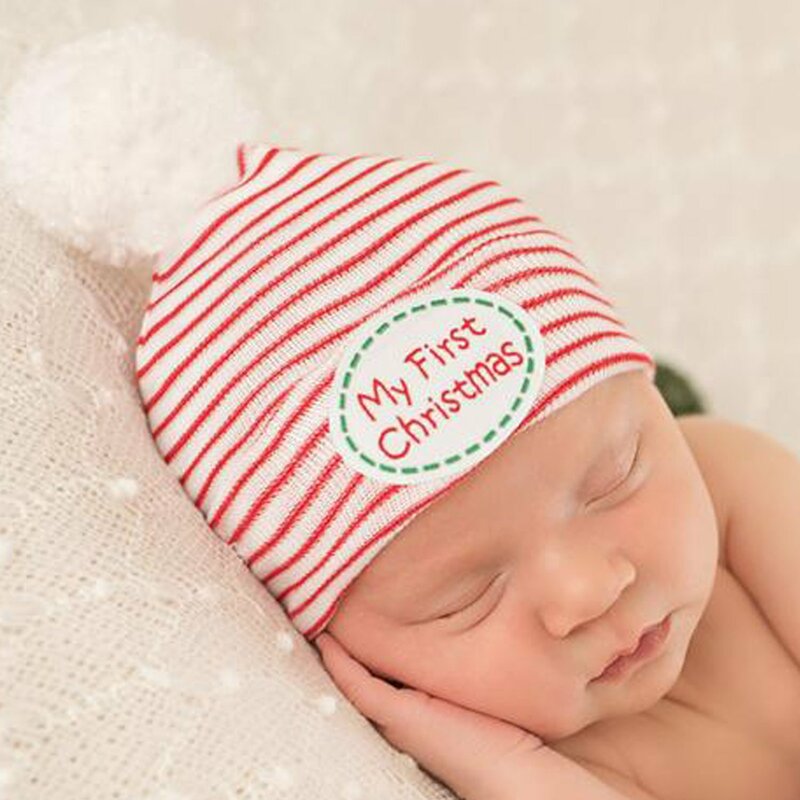 This adorable Ilybean nursery hat is just perfect for baby's first Christmas. Suitable for baby girl or boy, it features red and white candy cane stripes with a "My First Christmas" appliqué. 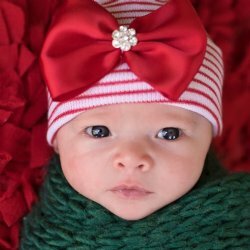 Just perfect for their first holiday photo and for Take Me Home for your holiday baby. Hat features an adorable white pom pom at the top as well. 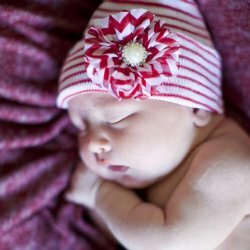 Made from 2-ply material that makes them 2 times warmer than traditional hospital beanies. 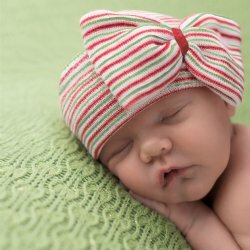 Cap keeps baby warm and cozy. A great baby shower gift and keepsake to be cherish all their life.